26 year old Karanjit Singh, recently underwent a hip replacement surgery at 72 BMP Healthcare. It was a complicated surgery after the patients reported of a chronic pain in the right hip with limping in the walk. 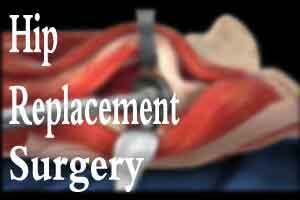 The surgery was conducted by joint replacement surgeon Dr Deepinder Chaudhary at the hospital. Initially diagnosed of secondary Osteoarthritis (drug induced) 4 years ago, Karanjit was not able to walk properly. He reportedly had a limp during his walks, and was suffering from severe pain. The difficulty in walking was further heightened by the fact that the involved limb had shortened due to the osteoarthritis. The surgery was perceived to be complicated, and the patient was advised to approach a super speciality hospital in Delhi or Mumbai to undergo the surgery. However, when the patient consulted Dr Deepinder Chaudhary (Consul-tant, Joint Replacement Surgeon, Sir Ganga Ram Hospital Delhi) during his weekly Sunday OPD at 72 BPM Healthcare here in Jammu; he was able to arrive at a decision to undergo surgery in Jammu. After initial examining of the patient and his medical history, Dr Chaudhary recommended replacement of right hip. As reported by a local daily, performing Total Hip Replacement surgery on severe Secondary Osteoar-thritis patient with deformity required highly experienced and trained surgeon, infrastructure of super specialty level and Hip implants of very fine quality. All of which are available at 72 BPM Healthcare. Surgery was performed using advanced hip replacement system from leading US based company on 28th November 2015. Post surgery, the results have been very encouraging, as Karanjit is now able to perform all activities of daily routine pain-free and is back to his normal life, which was earlier not possible.